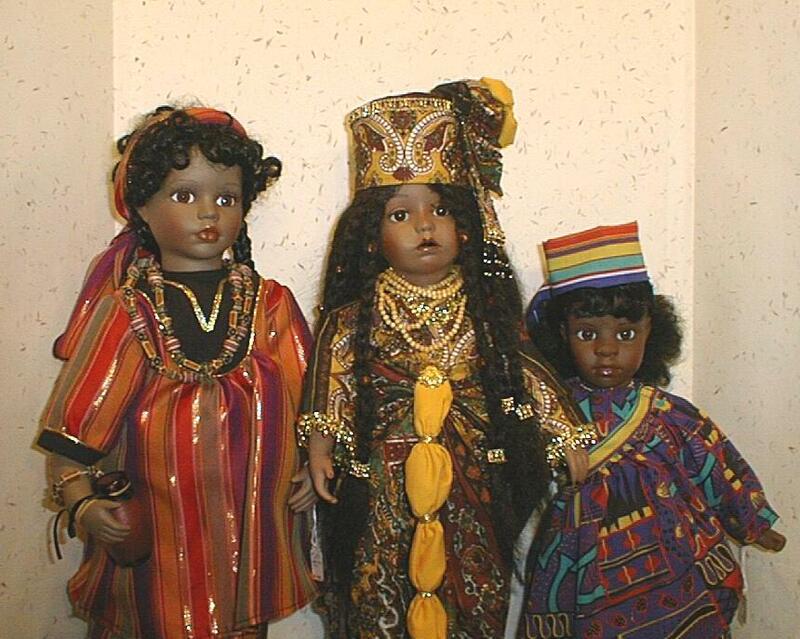 African dolls as the doll hobby knows them usually have beautiful clothes in African colors!! 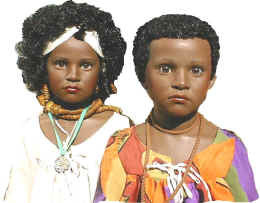 They rarely are "imported from Africa" or even reflect African features or hair. 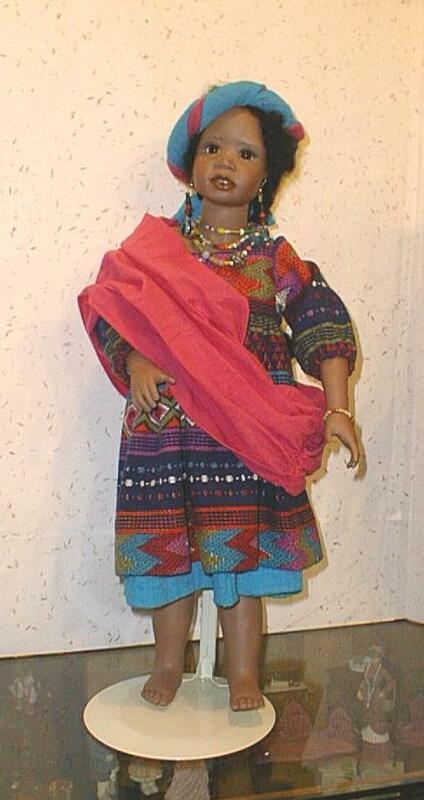 Some do, some don't. 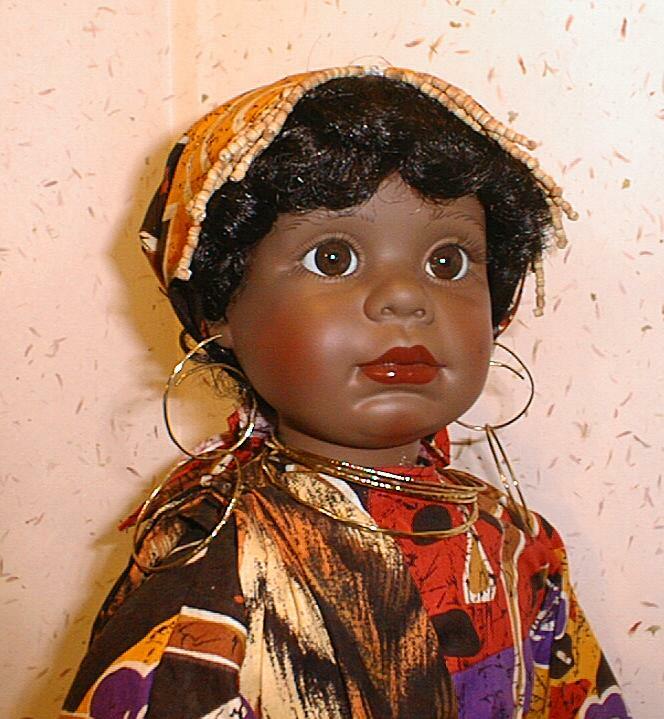 But, dolls do not necessarily have to reflect our real society. 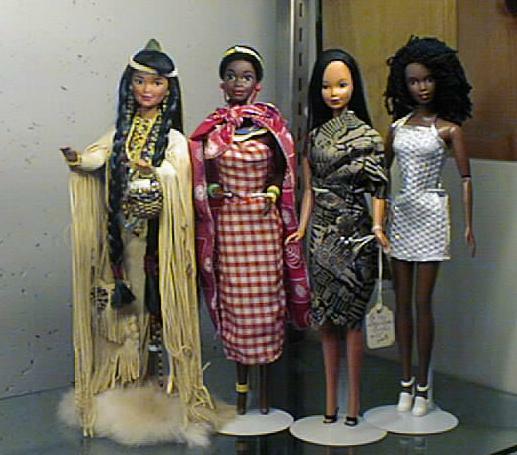 How many real Barbies do we know? 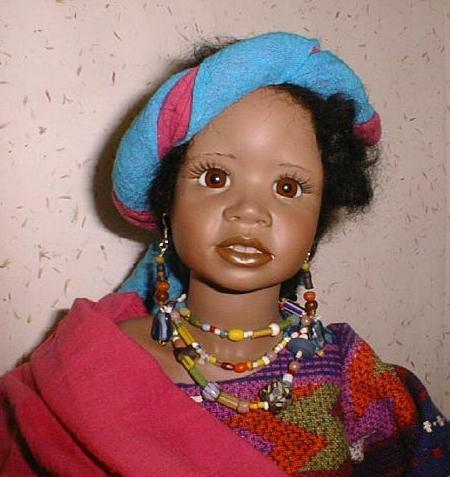 Artists who make quality African-looking dolls usually command high prices - and they should. 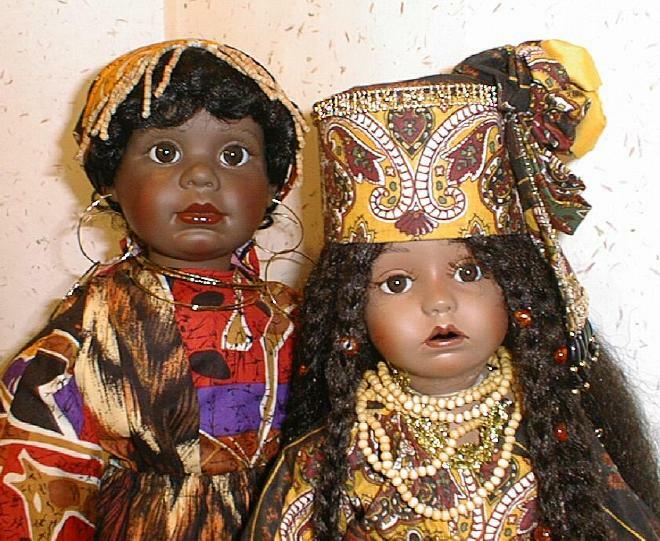 Those dolls are usually rarer and reflect talent and originality. 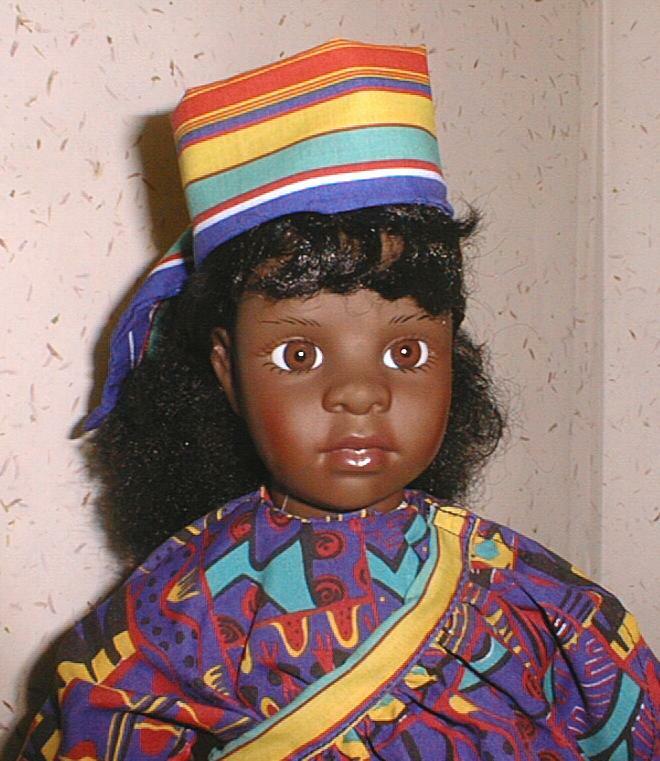 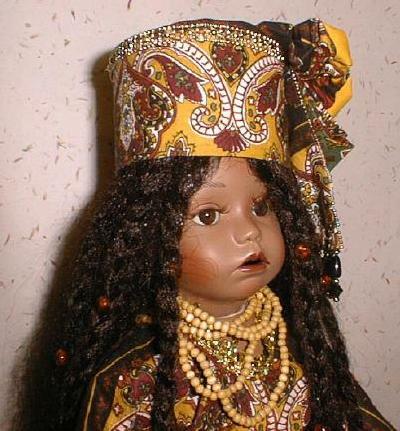 Philip Heath and Annette Hemstedt are two artists who have done more lifelike dolls of color. 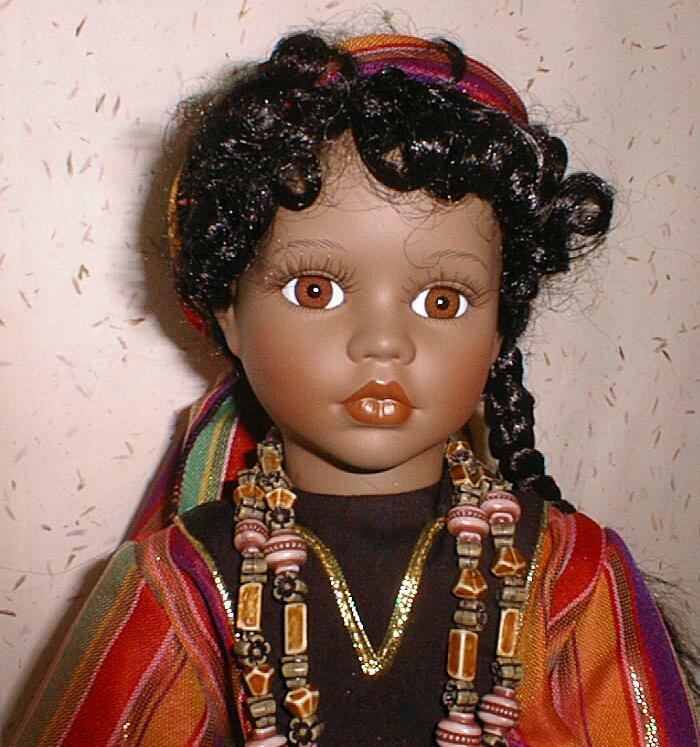 For older collectible dolls, a good start is the Shindana line from the 60's.